Esmeralda Paredes Rodriguez is dressed to thrill and ready for the biggest day of her young life. Lake Effect's Audrey Nowakowski with writer Georgia Pabst. Writer Georgia Pabst explored the tradition for this month's Milwaukee Magazine in an article, called Sweet 15. 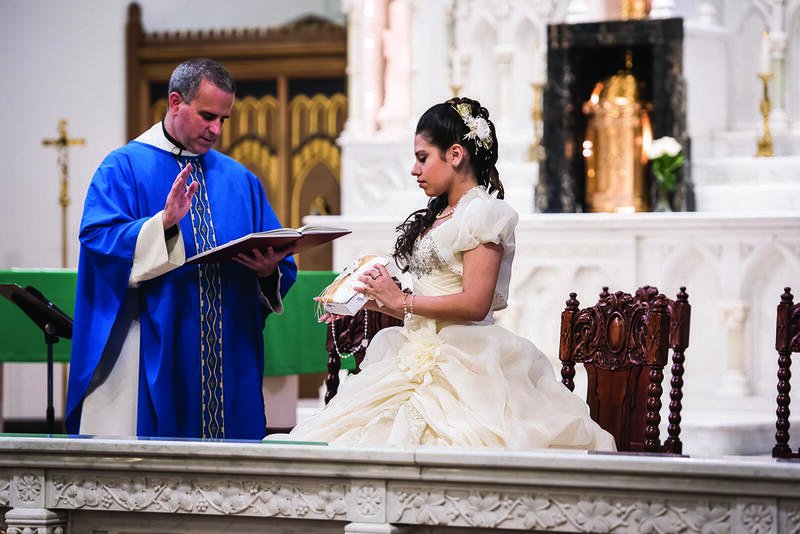 While the article focuses on one local young woman's quinceañera, Pabst points out that the tradition is one that dates back thousands of years. "The quinceañera is believed to have started with the Aztecs in the 1500s and it was there way of preparing young women to marry and to assume their life as an adult in the community," she says. From a special family mass to ball gowns, a grand cake, reception and celebration, the quinceañera not only symbolizes a young woman's transition, but celebrates her. Pabst notes that with so many different components, it is not hard for the cost of a quinceañera to rival that of some weddings. "It has become a very important ritual and right of passage and celebration for many Hispanic families, and so it's become practically a billion dollar business," she explains. Pabst says the quinceañera is like any other tradition such as getting your drivers license or going to the prom, "it's something that people remember and cherish." "Some young women say their parents give them a choice of a quinceañera, a car or a trip," says Pabst. "One woman said to me, 'You can always take a trip or get a car, but this is special.'"